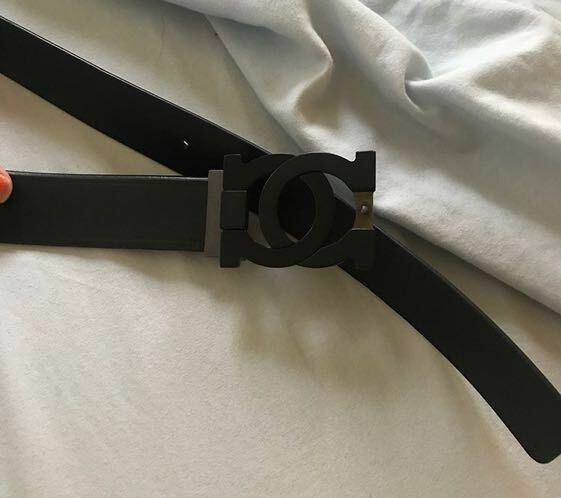 authentic black leather salvator ferragamo belt. Fits a size 00/0 in pants. Part of the buckle is missing but it still works perfectly fine!